Are you ready to kick start your health and fitness journey, or maybe just improve your overall health? By following these four basic RULES you will be well on your way to creating the body you have always DREAMED of. BUT I have to warn you... these things are simple to do, and they are simple not to do. What you have to ask your self is how committed are you to seeing the results you have always wanted? Follow these basic principles DAILY and I guarantee you will create a FITTER healthier YOU! Helps Prevent Diseases- Our bodies were meant to move -- they actually crave exercise. Regular exercise is necessary for physical fitness and good health. It reduces the risk of heart disease, cancer, high blood pressure, diabetes and other diseases. It can improve your appearance and delay the aging process. Improves Stamina- When you exercise, your body uses energy to keep going. Aerobic exercise involves continuous and rhythmic physical motion, such as walking and bicycling. It improves your stamina by training your body to become more efficient and use less energy for the same amount of work. As your conditioning level improves, your heart rate and breathing rate return to resting levels much sooner from strenuous activity. Strengthens and Tones- Exercising with weights and other forms of resistance training develops your muscles, bones and ligaments for increased strength and endurance. Your posture can be improved, and your muscles become more firm and toned. You not only feel better, but you look better, too! Enhances Flexibility- Stretching exercises are also important for good posture. They keep your body limber so that you can bend, reach and twist. Improving your flexibility through exercise reduces the chance of injury and improves balance and coordination. If you have stiff, tense areas, such as the upper back or neck, performing specific stretches can help "loosen" those muscles, helping you feel more relaxed. Controls Weight- Exercise is also a key to weight control because it burns calories. If you burn off more calories than you take in, you lose weight. It's as simple as that. Improves Quality of Life- Once you begin to exercise regularly, you will discover many more reasons why exercise is so important to improving the quality of your life. Exercise reduces stress, lifts moods, and helps you sleep better. It can keep you looking and feeling younger throughout your entire life. Eating clean may look a little complicated having to eat more often, but it really just requires some planning and discipline. Once you get used to this lifestyle, you won’t want to go back. Fresh, wholesome, and lean foods yield the body you want and you’ll quickly begin to feel better and stronger. Plus you’ll gain energy and notice a difference in your ability to perform. Water serves as a lubricant- Water serves as a lubricant in digestion and almost all other body processes. The water in our saliva helps facilitate chewing and swallowing, ensuring that food will slide easily down the esophagus. Water also lubricates our joints and cartilages and allows them to (pardon the pun) move more fluidly. When dehydrated, the body rations water away from the joints. Less lubrication equals greater friction and that can cause joint, knee and back pain potentially leading to injuries and arthritis. Even our eyeballs need plenty of lubrication to work well and remain healthy. Water regulates body temperature- Our bodies can control over-heating through perspiration from sweat glands in the skin and from evaporation which produces a cooling effect. Blood is also routed into areas close to the surface of the skin where it can be cooled and then carried back to the interior of the body. Conversing in a cold environment, the skin maintains proper body temperature by shunting the blood away from the exterior surface thereby conserving heat within the body. The movement of water within our cellular systems also transports vital blood plasma which is 92% made of water. Blood plasma play a critical role in buffering the body’s pH, circulating antibodies from the immune system, and regulating osmotic balance which all helps to maintain proper body temperature. Sleep is a crucial factor in losing weight. Sleep suppresses your appetite and raises your metabolism, while allowing your body to rest and recover. So aside from leading an active lifestyle and maintaining a balanced diet, you should also make sure that you get your full eight hours of shuteye every night. Frequent exercise and a healthy diet are key elements in most weight loss programs. However, making sure that you get enough sleep is often overlooked. Studies published in The Journal of the American Medical Association and The Lancet suggest that sleep loss may increase hunger and affect the body's metabolism, which may make it more difficult to maintain or lose weight. Leptin and Ghrelin- Sleep affects the levels of several hormones in your body. Two hormones that play an important role in stimulating and suppressing your appetite are leptin and ghrelin. Leptin is produced by your body’s fat cells and is responsible for suppressing hunger. Ghrelin is released by your stomach, and stimulates your appetite. Lack of sleep lowers the levels of leptin in your blood and heightens the levels of ghrelin, which results in an increase of appetite. The reverse is also true: getting enough sleep decreases hunger and will therefore help you lose weight. Growth Hormone- During sleep, your pituitary gland secretes more growth hormones than during your waking hours. Growth hormones stimulate cell regeneration, reproduction and growth. These hormones are also known to aid you in building muscles. This is why higher levels of growth hormones means a heightened metabolism. With a higher metabolism, you burn energy much faster which leads to easier weight loss. Cortisol- Getting eight hours of sleep at night helps you lower the cortisol levels in your blood, while lack of sleep raises your cortisol levels. Higher levels of cortisol lead to a lower metabolism. Breaking protein down into glucose is stimulated by cortisol. If you have too much glucose in your body, it will get stored as fat. On top of this, cortisol interferes with your body’s ability to build muscle mass. If you are trying to lose weight, you want to make sure that you have low cortisol levels in your blood. Getting enough sleep helps you do just that. Rest and Recovery- Exercising regularly is a great way to improve your fitness and shed some pounds. When you exercise, you tire your body and actually inflict small injuries to your muscles. To improve your performance, you have to allow your body to heal. During sleep, your body recuperates the quickest. When you do not sleep enough, you will stay fatigued and your performance level will drop. Sleeping enough will allow your body to rest, recover and grow stronger. Well there you have it a guaranteed way to start creating a fitter HEALTHIER you... TODAY! Contact me on facebook if you have any questions! Losing weight is not easy compared to gaining weight. 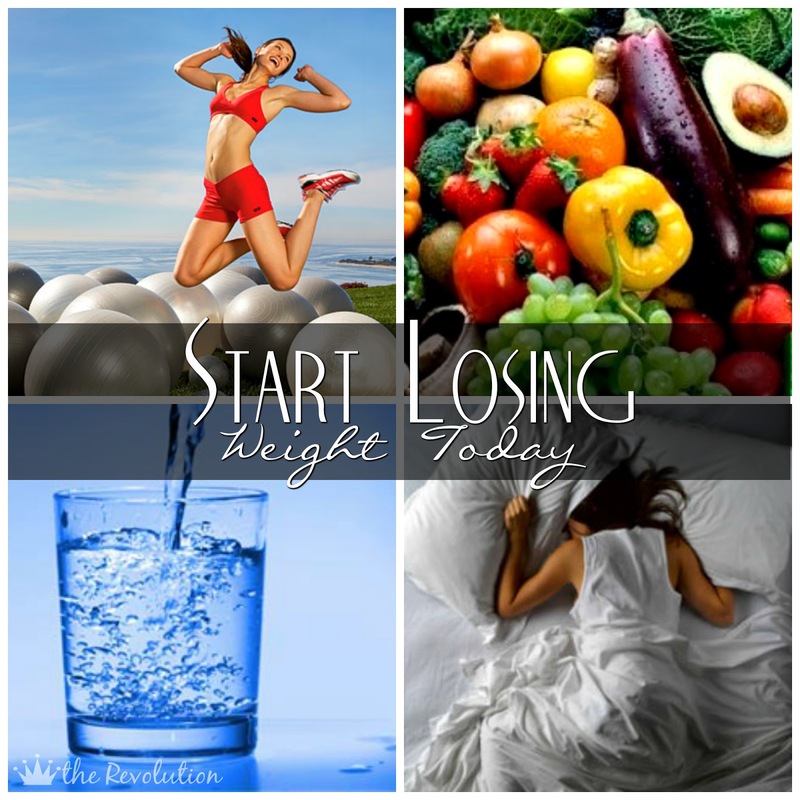 There are some proper tools and a step by step process to lose weight in a healthy way. You have mentioned that way perfectly but sometimes even after trying everything your body does not response to these steps. And this happens with me. In college I used to take long studies sessions and not eating properly which lead to fat gain. But the time I realize that it was too late. Then I try everything to lose weight from health classes to nutrients foods but nothing help. One day my friend suggest me USB labs Oxyelite Protein Powder. It not only helps me to reduce extra fat but after taking this I feel that my body has more power and stamina. You are so brave for posting this. I understand. I so understand. Right now my belly hangs to my knees. I can't imagine what the loose skin will be like when I lose more weight. No matter how much I lose my body will be deformed for the rest of my life. Because I've had several skin infections, I will be able to have the stomach skin removed, but I'll have hanging skin all over the rest of my body. But you know what? As you said, I'd rather be healthy and have loose skin. Thank you so much for sharing. To lose weight there are best supplements for weight loss like pills, potions, creams and oils available in the market. But you should choose the right one for you. Thanks for sharing nice information . A crucial point to get healthier is to reduce the level of stress to the minimum. Then the effect will be noticed. But it may be hard to avoid stress with intense studying process. Therefore, I recommend the following resource to help you.